Marketing – both offline and online marketing will continually evolve. 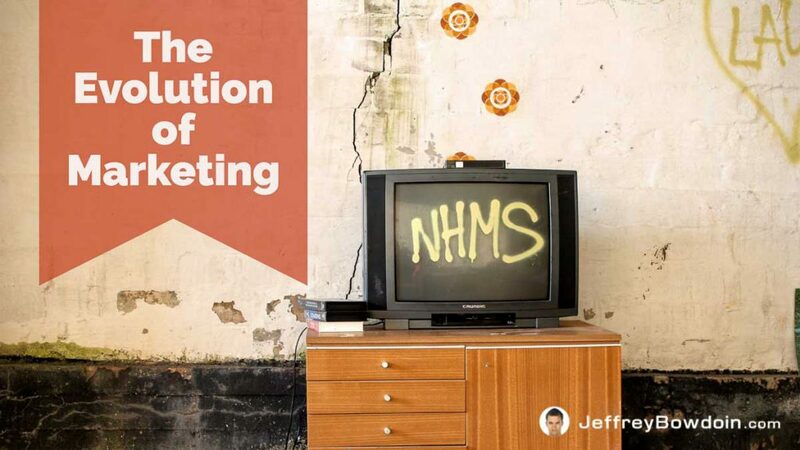 As our culture and the technology evolves, so too will marketing techniques and tools. For example, the inbound marketing methodology has been gaining in popularity as customers and technology evolves. However, with all the changes in marketing, there are many aspects of marketing that will probably never change. There is one constant in marketing, though. There is one thing that can stand the test of time. This one thing is relationships. No matter the changes that happen in the marketing landscape, relationships will always give marketing its power. Relationships are more important now than ever. When the radio and TV came to existence, companies could connect to their customers. It was a truly innovative technological advance. Customers loved the fact that they could watch television and listen to the radio. The companies who advertised on these platforms loved the fact that they could reach massive amounts of people to build brand awareness. Mass media (aka shotgun approach): The mass media marketing approach is a shotgun marketing approach. It involves sending a message to millions of individuals, hoping that it will be receptive to a portion of that audience. This technique is still used today on radio and TV. Good for brand awareness: This approach worked great back then, for businesses to build brand awareness and to craft the image of their brand. Branding was the relationship building. The feel of the brand, the emotional connection people developed to the brand – these were all aspects of building a relationship with the customer. Not as effective today: The shotgun advertising approach is not as effective today as it was before the internet and the current state of technology. The reason is that technology allows people to have flexibility in whether they choose to listen to various advertising messages. People zone out ads: People either consciously zone out the noise or they mute the sound. Yes, people literally will mute the sound. I mute the sound when Pandora commercials come on while working. I’m sure plenty others out there do the same thing. For those that still have cable, we all know people that record their favorite shows to fast forward commercials. Many will even install browser plugins to skip youtube commercials! Shotgun marketing still works to this day and has its place. However, it is not as effective as it once was. Another drawback to the shotgun marketing approach is that it’s only a one-way connection. There is no two-way dialog. The company can ‘talk’ to their customers through various commercials and ads, but the customer cannot ‘reply.’ It is a one-way communication where the company is dominating the conversation. There are many benefits to relationship marketing. Luckily, our newly connected world in the digital age allows us to enhance our relationship marketing efforts very easily. The internet allows a two-way communication: The beauty of the web is it now allows a two-way connection between consumers and producers. The internet expanded the complexity of the relationships and the scale of which they were able to make these relationships. Since the Internet offers the ability to create much more complex relationships than the old traditional marketing methods, I believe it is the superior way of marketing. It is the marketing of the future. Evolving marketing tools help build relationships: All the changing techniques and technological tools of internet marketing, such as e-mail marketing platforms, social media tools, websites, blogs (WordPress), search engines, advertising, etc. are all tools you can use to develop relationships with consumers. Eventually, it will hopefully transition them into paying customers. Relationships are about value: The key is to align your priorities with that of the consumers and to develop relationships that offer value. Remember this word – Value. Value is the key to success online and offline for the matter. The value is what you should base your relationships. A relationship is merely the way two or more people, ideas or objects are connected. It’s all about connection. Relationship building is much easier: it’s much easier to connect with your customers. There’s blogging comments, social media, etc. The technology makes it easier than ever to connect with their clients/customers. It’s easier for competitors as well: Since it’s easy for your competitors to foster relationships, this means they are more likely to do it. This ease of relationship building means, if you fail to foster great relationships with your customers, your competitors have a competitive advantage. With current technology, it has fostered a competitive environment that requires relationship building. In many cases, you either foster those customer relationships, or your company falters over time.